I am not suggesting that low-fat diets are the ultimate path to health, but I do think they can be compatible with health in most people, if carefully composed. In addition, they may have benefits in certain situations, for example if you want to reduce food reward. Reducing carbohydrate is another way to do that, and the effectiveness of each method may depend on individual differences. Humans are adapted to eating starch. Hunter-gatherers show genetic evidence for selection for starch tolerance relative to other primates, and agricultural populations show even more (1). The vast majority of people who are reading this descend from agricultural populations that ate high-starch diets for thousands of years. Although there's still some controversy, it appears that modern Europeans descend mostly from agricultural populations that immigrated from the Middle East and replaced European hunter-gatherers (2, 3, 4, 5, 6), and needless to say European hunter-gatherers didn't contribute much to the genetic makeup of people of more recent African origin, or native Americans. Related the the last point, agricultural and pastoral humans have undergone significant genetic adaptations since the development of agriculture/pastoralism. That does not mean you can live on white bread and soda and be healthy. Even if our hunter-gatherer ancestors on average ate less carbohydrate than we do today, since hunter-gatherer diets are highly variable, we have been selected over millions of years to be able to tolerate wildly different macronutrient ratios. Maybe mongongo nuts were the main available food for three months (like the !Kung), but during another season all there was to eat was starchy tubers. If you can't adapt to that, you die out, so our broadly omnivorous dietary pattern has selected us to be very tolerant of differing macronutrient ratios. Our metabolism is highly attuned to coordinating the appropriate metabolic response to differing carbohydrate-to-fat ratios, and insulin is central in orchestrating that. That's reflected in the fact that cultures have thrived on practically nothing but carbohydrate (New Guinea highlanders, etc.) as well as mostly fat (Inuit, etc). Other animals are not necessarily endowed with the same metabolic flexibility due to their more restricted diets. If your body evolved to tolerate eating 70% carbohydrate for a month, it's not that big of a stretch to think a culture could begin eating it year-round without any genetic modifications. Since the ancestors of most people reading this have probably been eating more starch than fat for a very long time, at a minimum thousands of years, but probably closer to a million (because African game meat tends to be pretty lean, and most peoples' ancestors never passed through far Northern latitudes where fat calories predominate), I think the "null hypothesis" should be that humans are best adapted to diets where starch predominates over fat. In other words, that should be the default hypothesis that requires evidence to disprove. The fact that there are so may healthy high-starch cultures, far more than there are high-fat cultures, adds to the weight of the evidence. That does not necessarily mean eating more fat is unhealthy, it's just a very rough evolutionary framework. I do believe some people legitimately do better on higher-fat diets, and some people do better without grains specifically, particularly wheat. I believe that a diet based mostly on freshly cooked starchy tubers/roots such as potatoes and sweet potatoes is probably superior to one based mostly on grains for most people. Treating grains by traditional methods such as soaking, grinding and fermentation improves their nutritional value (7). I still think pastured butter, red palm oil, virgin coconut oil and extra virgin olive oil are healthy, as well as the fats contained in quality meats. This is hard for me to read. I have been focusing on getting more fat into my diet for the last two years and this is somewhat distressing to think about. I like potatoes occasionally but I always have them with extra butter, to make them healthy of course! I'm curious what a high fat diet looks like compared to a high carb diet. I don't really know what "high fat" or "high carb" actually mean. I can't explain it but I am feeling a lot of angst over reading your thoughts on this! Just doubting myself, I guess. "Our metabolism is highly attuned to coordinating the appropriate metabolic response to differing carbohydrate-to-fat ratios, and insulin is central in orchestrating that." Holistic is the way to go. For me there's a crucial bit missing in your post, Stephan - what causes high fasting insulin levels? Like Leah I've been trying to get more fat in my diet - saturated fat, of course - but the constant bombardment of "saturated fat raises cholesterol and causes heart disease" is really getting to me. I have been eating some potatoes and gluten-free breads, but I've put on about 10lb when I need to lose 30lb! "...agricultural and pastoral humans have undergone significant genetic adaptations since the development of agriculture/pastoralism." Could you provide more references, Stephan? I'm sure you are aware this is at odds with most of the paleo/ancestral crowd who argue that there's not been enough time since the advent of agriculture for humans to evolve significantly. While wild game meat might be lean, isn't there a lot of fat in the organs and brain? More and more I am coming around to the idea that a healthy diet is not obtained by eating high/low fat or high/low carbs but by simply trying to eat whole foods. @Megan: It's not currently known exactly what causes high fasting insulin, and there are probably many different causes in different people. As Chris Kresser explains here, it seems to be primarily an autoimmune inflammatory problem (http://thehealthyskeptic.org/the-autoimmune-inflammatory-model-of-diabesity). While Stephen is correct that starches probably don't cause diabetes or elevated fasting glucose themselves, people with diabetes or pre-diabetes need to eat a reduced carbohydrate diet, because they no longer have the ability to maintain blood glucose at safe levels after a high starch meal. To some degree a healthy diet can reverse mild insulin resistance in many people, and allow for starches to be eventually re-introduced. Although I agree with your assertion that macronutrient ratios, per se, shouldn't matter, as far as I know, there are no "carbohydrate soluble" vitamins. There are, however, numerous fat soluble ones that essential to human health and development, most of which are found in animal products. Therefore wouldn't a high fat diet be a better recommendation for most people, assuming those fats come from good sources? It would seem to me that on a high-carb, low-fat diet, one would have to be especially vigilant to ensure adequate vitamin and mineral consumption. @ healthyengineer. Thank you so much for that link - and it makes perfect sense, certainly in my case as I have already been diagnosed with four unconnected [ha!] autoimmune diseases. I also have to take immunosuppressants for the rest of my life, so I suspect my immune system is just a tad knackered! On a related note, do you have any thoughts on moderate use of dextrose as a sugar substitute? Metabolically, it should be more or less the same as starch, right? The primary drawbacks I can think of are that like any sweetener dextrose will increase the reward value of food, which may lead to weight gain; and that the empty calories will displace more nutritious foods. Are there any other issues I should be concerned about? and, apparently, also selects for more alcohol consumption (along with greater tolerance to alcohol's sedation effects). Not a good combination. The angry drunk gene? One of the best and sanest post on nutrition I have ever read. Some high-fat foods like egg yolks or fatty fish may be among the most nutritious, but fat in general is a very poor source of nutrients other than retinol. Carbohydrate foods on the other hand are typically very good sources of many vitamins and minerals like most B-vitamins, magnesium, potassium, manganese and copper. I think you would be far more likely to cover all your nutritional needs on a whole-foods diet based on carbohydrates supplemented with some fatty animal foods, than the other way around. That is unless you habitually eat the entire animal, but how many really do that? I agree with Collden. Paleoliths didn't really get that much fat, but the fat they got was full of fat-soluble vitamins. Getting vitamin-filled fat nowadays is =possible=, but not easy. KerryGold butter may or may not still be completely pasture-forage sourced. There is zero requirements for them to specify the details. How could they? The cream from hundreds of different farms is all mixed together. Anchor butter (from New Zealand) is now heavily "concentrate" fed. As per a communication from the New Zealand Animal Feed Importers Association (not the exact name, but I did write and ask, and they replied!). Of course, the dairy farmers don't mention it; the feed importers are proud to trumpet the fact. I have stopped eating USA-sourced butter. It seems that Dr. Price may yet rule the day. He found varied diets in his tour around the world with the one constant that everyone ate real food, not factory food. M-al said it right. You can't really know until you test if for yourself and see how it goes. This means keeping the detailed logs of all your input and output along with all the symptoms and measures. "As far as I know, there are no 'carbohydrate soluble' vitamins." There are carbohydrate coupled vitamins and beneficial substances. For instance olygofructose is indigestible for you but your intestinal bacteria will like it a lot and give you vitamin reward. You can consider those as "carbohydrate soluble" I guess, since without appropriate microbiota they will not be available to your body. Omitting entire food category out of 3 or 4 is really bad idea (unless it is temporary, i.e. weight loss) for people that don't have some hard-core physiological problem (like T2DM or familial hypercholesterolemia). Omitting particular foods sounds more like idea (i.e. wheat or refined carbohydrates). "It seems that Dr. Price may yet rule the day. He found varied diets in his tour around the world with the one constant that everyone ate real food, not factory food." He noticed that most of them tend to eat some form of fermented food. The problem nowdays seems to be how to get quality one. I for one, make my own cheese and kefir. The problem is translated to getting a good raw milk.... unless you own a cow, a hard job indeed. There are many causes of insulin resistance that have nothing to do with autoimmune attack. The rising concentrations of toxic, industrially-produced, bioactive organic chemicals that have permeate our environment since the 1960s and which induce genetic damage in developing fetuses are a much more likely explanation for the rise in obesity and metabolic disease than is diet. I agree with Stephen that humans have evolved to live very well on high carbohydrate diets. But these chemical exposures change everything because they damage the mechanisms we evolved to live healthily on those carbs. And when those mechanisms are broken, elevated blood sugar does damage our bodies. Blaming diet for the obesity epidemic is one way that the chemical industry protects its profits. As long as we can blame the obese for moral weaknesses no one will look too closely at what chemicals were in their blood stream as their organs were forming--and what those chemicals did to them. I don't see how the null hypothesis can be said to be "starch dominated diet is optimal" - in fact, I don't see how any statement of dietary optimality could possibly be the null hypothesis. It's not a neutral default position and philosophically speaking it's question begging to assume such a thing when talking about optimal ratios. When it comes to discovering the optimal macronutrient ratio, the null hypothesis should be "there is no optimal macronutrient ratio". And I personally think the evolutionary evidence and HG tribe evidence would actually back this null hypothesis far more strongly than any generic "optimal ratio"; you can find a tribe living healthily eating virtually anything anywhere on the planet. That leaves both a starch-dominated diet and a fat-dominated diet with some hefty work to prove themselves optimal, which is as it should be. Neither should get a magical free pass. If you consume 20-30% of calories as fat that is still a substantial amount, depending on calorie intake. I get all the fat soluble vitamins consuming around 20% fat at ~4500 cals(around 100g) without effort because I eat the right fats(animal), throw in some liver every once in awhile for good measure and your golden. It is actually much harder to meet nutrition requirements on a high fat diet without proper planning due to the somewhat deficient nature of the highly consumed animal foods like pure fat and muscle meat. If you eat 2000 cals of potatoes you get pretty much everything especially with some animal superfoods, eat 2000 cals of animal products(unless its 2000 cals of liver) and you will come up short in a couple of key nutrients. Now that someone named "Stephen" has chosen to post comments, is it too much to ask for commenters to refer to the person who writes this great blog as "Stephan" -- with an "AN." I realize that many of you are pretty convinced that Guyenet doesn't know how to spell his first name, but allow for the possibility that "AN" is how it appears on his birth certificate. Yes, it is only a small irritant, but I find myself repeatedly irritated when reading comments that might actually have a kernel of intelligence and then, splat, the commenter refers to "Stephen" meaning StephAN. Commenters: That makes you look like a moron, if you can't even spell the name of the author of the blog correctly. Regarding the deleterious effects of carbs in a pre-industrial society, here is a 2009 blogpost by Dr. Eades: Nutrition and health in agriculturalists and hunter-gatherers. The study Eades discusses compares a group of hunter-gatherers who lived in Indian Knoll, Kentucky about 5000 years ago with a group of agriculturalists who lived in Hardin Village, Kentucky from about 1500 AD to 1675 AD. They lived in the same geographical area, had the same environment and climate, had never met a European, and probably had the same genetics. Guess which group was healthier? Very good article, Stephan. How and why we gain fat is extremely complex. I can appreciate the caution your blog takes. I had a comment that posted, but it has now disappeared. It had a link in it, so perhaps it was sucked into the spam folder. At any rate, for those who are interested in the effect of carbohydrate consumption in a pre-industrial population, Michael Eades published a blogpost in April 2009, Nutrition and health in agriculturalists and hunter-gatherers. Eades discusses a study that examined skeletal remains of two societies, one a hunter-gatherer group that lived in Indian Knoll, Kentucky about 5000 years ago, and another that lived in Hardin Village, Kentucky from about 1500 AD to 1675 AD. The two groups were sedentary (did not range far afield), experienced similar surroundings and climate, had no significant contact with Europeans and presumably were similar genetically. There were about 300 skeletons from each group. Tooth decay was unusual in the hunter-gatherer group but was rampant in the group that ate a high percentage of carbohydrates. Life expectancy was also shorter in the group that ate carbohydrates. Soft tissue was not preserved, but the presence of tooth decay indicates that metabolic syndrome could well have been a feature of the group that preferred carbohydrates. Industrial chemicals and industrial seed oils would not have been confounding factors. The point I made about the rice in the Philippines is not that it is low carb (I do think it is slightly lower carb), but it probably is not absorbed as fast or well as the gooey rice eaten in the US (I'm sure gooey rice produces higher BG spikes than hard and more so with earlier rice). At the same time I'm not convinced that low GI foods are the answer - there seems to be a problem with the area under the curve of elevated glucose - not just the spikes. Perhaps there is something with Leptin that can explain this? I still think it is more complicated. Leptin is not the ONLY thing that controls appetite. foods that effect Seritonin, dopamine and other brain chemicals can not be ignored. (One example: carbonated beverages stimulate the tongue and I believe there is an immediate dopamine release combined with the effects of caffeine). A concrete example might help. My 86 year father can eat a higher carb meal and his postprandial BS stays below 110 - If I or my 21 year-old daughter eat the same food we blast past 165. Did my daughter and I damage our insulin system with sugar foods, or is it an in inherited trait? ( My current best guess is there is some damage) (Looking at only fasting BG is medical malpractice IMO) The adaption to higher carb diets - particularly in peoples from northern climates is not nearly as consistent as it is in Pacific islanders where they had a steady supply of higher carb foods. My experience is it isn't the carbs I ate that made me fat - it was they overstimulated my appetite and I would over eat later. I'm not sure how to explain this with leptin. The other bit that fits in here someplace is milk products. I find cream and cheese foods to be addictive and stimulate my appetite. These are very complex foods. Milk is intended to help babies grow rapidly - I don't think we know about all the effects of the many proteins in milk and possible effects of the homogenization process. I do think you are on to something with the tastiness of foods being a factor - I just think it is much more complex. I think the lean meat of game animals deserves addressing. What does the evidence say about exactly what parts of animals would our ancestors have gravitated towards? OH! I gotcha now. Yes, I agree with you--people get hysterical over insulin spiking after a meal, when they should be upset about how high the *glucose* spikes and about what their fasting insulin level is. Those are greater indicators of disease--insulin is *supposed* to go up after a meal, and even when you smell food. It's whether it goes back to normal levels once it's done its job that really matters. I'm seeing people around the blogosphere saying that fatty liver has more of a role in diabetes than overall starch consumption but of course, once you *are* diabetic, eating starch is dicey. Maybe there are people on high-starch diets who control their diabetes but as so much of that evidence is touted by vegan groups, I need to know more than "high starch diets control blood sugar." What else is in the diet, how closely was it monitored and who's pushing the agenda? I could see using starch to back lean game meat (though, of course, not all game meat is lean, as you know and Dr. Kurt Harris has observed firsthand), because you have to back lean protein with either starch or carbs to avoid rabbit starvation. When the dietary fat is lacking, the starch is the other option. And in the end I think we can still agree that subsisting on sugar is not a bright idea. Great post Stephan. I was wondering what your stance on fructose/sucrose currently is? Preparing wild tubers so that they may be eaten is a difficult process that can only be done in camp. Wild tubers are hard to find and once they are found it is a laborious process to harvest them. So gathers did not have time to prepare meals during their gathering. Hunters certainly did not stop to harvest tubers and eat. As a consequence, they normally ate only one meal a day, the other 22 hours they fasted. This fasting allowed them to eat a high carb diet without harm. Take away the fasting and they would suffer most of the diseases of civilization we do. Insulin resistance causes high fasting insulin levels. I don't really understand the details, but the basic idea, I think, is that while fasting, glucose is constantly being released into your bloodstream from gluconeogenesis. You need a certain amount of insulin to push that glucose into cells and keep blood glucose levels in equilibrium. If you're insulin resistant, the amount of insulin needed to do that will be higher. Insulin resistance appears to be multifactorial, and the exact mechanisms are not fully understood. Lack of exercise appears to be one factor, as do high dietary fructose intake (including from sucrose) and inadequate omega-3 intake. I've been for some time under the impression that insulin sensitivity is sort of a limited but renewable resource. That is, that a strong insulin response will somehow partially disable cells' insulin receptors for a longish period of time, and that cells will consequently become less sensitive to insulin. I don't remember exactly where I picked up this idea, and data on the Kitavans, and also some recent experiments showing that high glucose intake does not impair insulin sensitivity in the same way high fructose intake does, lead me to conclude that I've probably been wrong about this. But I do think it's a fairly common idea in the low-carb/paleo community, and the reason why so many of us are wary of insulin spikes. AL, it is possible (though only a speculation) that there could have been genetic differences between the populations of Indian Knoll and Hardin Village. However, according to Table 2 in the original article, the temperatures, precipitation and natural wildlife were identical for both people groups. For whatever reason, the Hardin Village people chose to eat only sparing amounts of deer, elk, small mammals, wild turkey and box turtle as supplements to a largely agricultural diet. Even if their genes had changed in some way, they could have made the adaptation of going back to animal sources of protein. Surely the NPY receptor adaptation and/or the pro-carb agouti-related pepetide variants do not make humans obligate meat-eaters or carb eaters. Reading the comments, I keep having the thought that one's ability to age robustly on a certain diet would by significantly enhanced by eating the diet that one's ancestors have adapted to thrive on. That could get tricky unless one is descended solely from people from the same geographic area, who have all lived there for a very, very long time. Consider this report out of the project hospital, from when the Panama Canal was being built in the early 1900's. The ex-sugar cane cutters imported as Canal workers from the West Indies had negligible % of diabetics, despite living off of sugar cane. That may well be. T. L. Cleave, M.R.C.P. writing in The Saccharine Disease said that these workers were able to chew sugar cane without negative health effects because the sugar in sugar cane was not refined. He hypothesized that the removal of coarse fibre in the manufacture of white sugar was what made the sugar unhealthy. The African descendents, I propose, had certain "introns" into their genes that made them utilize the carbohydrates quite well. I guess you can propose that, but until those "introns" [do you possibly mean exons?] are identified in this population and their effects are studied, this hypothesis is not falsifiable. All I can say is that these people did not live in Greenland. In Nutrition and health in agriculturalists and hunter-gatherers: a case study of two prehistoric populations in Nutritional Anthropology, C.M. Cassidy gives precise values for mean summer temperature, mean winter temperature, mean annual freeze period, and mean days with snow cover. These numbers are identical for the hunter-gatherers and for the agriculturalists, even though they are separated by about 4500 years in time. And again, absent specific DNA sequencing, we can't do more than speculate about how Indian Knoll and Hardin Village people may have differed from each other at various genetic loci. does fat, in particular, SFA "uncouple" electrons? hence generate heat? The Philippines is the world's largest importer of rice; and it imports something like half its consumption. Reference: frequent feature stories in the Filipino newspapers. The suppliers are Thailand and Vietnam. I'm pretty curious about your perceived difference in stickiness in different countries rice. Can you show a cite that says that cooking style conserves/degrades carb content? I spend a LOT of time in Asia, including the Philippines. A large fraction of the rice in the Philippines is cooked in standard department-store Japan/Taiwan-sourced rice cookers, just like every other country in East Asia! Aside from folk tales and unverified memoirs, can anyone show me ==evidence== that eating only rabbits will make you sick? Alan, rabbit starvation has to do with the amount of gluconeogenesis your liver can do in a day. Google: rabbit starvation pdf and click on the first link. Scroll down to What limits the liver's capacity to convert amino acids to glucose? and you'll see an explanation. Hyperglycemia may not be the cause of obesity when it is occasional. It sounds more and more like an occasional spike may reset some metabolic regulatory machanism. I know from personal experience that an occasional carbohydrate binge tends to make me leaner (at least short term). But the average obese individual exists in a near-constant state of hyperglycemia. And that state would have necessarily preceded the hepatic insulin resistance. To me the distinction seems hypertechnical at best. Stephan is one of the sharpest thinkers out there on this topic, so I eagerly await his magnum opus. But seriously, I think this simply illustrates that there are tons of factors that make people individually different and no one size fits all. I know from personal experience that my wife, of Mexican descent, does not flourish on a heavy meaty, fatty diet as I do. She gains weight. I loose weight. Fasting also seems to have adverse effects for her, but makes me feel wonderful. I for one have become less and less enamored with doing the same thing all the time. I have high carb days, low carb days, high fat days and low fat days. And some days I eat nothing. And sometimes I'll do something crazy like eat a whole watermelon for a meal, or a pound of cherries. And some days I'll have a huge steak and nothing else. I'm also no longer going out of my way to add a lot of fat to stuff. Sometimes, yes, but not as a matter of rigor. Paleo should be seen as a framework within which ones finds what works best for them individually. For me, that's as much variation as I can muster. Proteins and the amino acids derived from these can only be "burned" as glucose. Conversion to glucose is mandatory if the energy in these is to be utilized. Amino acids can theoretically even be converted to fats w/o going through glucose pathways - the ketogenic ones. The limitations of pure protein for energy seem to be rooted more in theoretical limits of nitrogen/urea - I've seen anywhere from 250-almost 400g there. So if all the person had was very lean animals, they would starve anyway, but not b/c of limits on gluceoneogenesis. thanks for your earlier response on insulin spikes vs fasting insulin... if I understand correctly neither overweight nor diseases of civilization are linked to the former. As far as you know would the same be true for more frequent periods of insulin release even w/o the larger spikes from big meals of processed carbs? I am wondering because I do eat less frequently when I decrease carbs and increase fat... would fewer periods of insulin release have any effect on health (ei: stimulating cancer growth)? Unfortunately I never did the fasting insulin test to compare, but my fasting glucose went from 95 to 85 when I cut carbs. Would this mean that my fasting insulin was high and dropped as well or are those markers unrelated? Is high fasting glucose also a sign of metabolic syndrome? @CarbSane, you're right about the ketogenic amino acids. I thought about that when I posted the information, but didn't have time to go into the details of glucogenic versus ketogenic amino acids. I haven't seen an illustration of amino acids feeding directly into the Krebs Cycle before, so I'm not really sure about that. The main idea of rabbit starvation is that while glucose and fats can be used directly for energy, amino acids require some sort of conversion. If amino acids are all you have, your available energy may well be limited in a practical sense. You may not starve to death, but you may be essentially an invalid until you can come up with something additional to eat. ...The health data provides convincing evidence that the diet of the agriculturalists was the inferior of the two. Please do read the original article and look at the pictures contained in it. It provides at least one case in point that a predominately carbohydrate diet is not necessarily benign. @Stargazey: Unfortunately screenshots don't carry the URL of the source :( I don't doubt for a minute that an all protein diet is inadequate! I don't doubt the fact that eating almost nothing but grains is unhealthy. I don't think that suggests that eating predominantly carbohydrate is unhealthy though. There is a decrease in stature, increase in dental cavities and other problems that associates with the development of agriculture. I can believe that the cavities are at least partially attributable to an increase in dietary starch. But the first agriculturalists were often eating a lot of grains to the exclusion of other foods, and they may not have had the technology to prepare grains properly or use complementary plant foods yet. Studies in many historical agricultural populations show that high-starch diets can be compatible with good dental health, and good overall health, as long as they're well composed. Stress and sleep deprivation often causes increased cortisol, insulin resistance and weight gain. This is true, right? Would you suggest that insulin resistance has nothing to do with the weight gain in this case? It's simply a matter of stress increasing appetite leading to a higher calorie intake leading to weight gain leading to insulin resistance? Or perhaps the cortisol is the cause of both insulin resistance and increased appetite (weight gain) while they have nothing to do with each other? People often say that stress caused them to gain a few pounds, not sure if that's enough extra weight to cause insulin resistance. Hi, Stephan. My concern came from your comment: I think that ... if anything a diet biased toward carbohydrate is better for overall long-term health than one biased toward fat. Although the people who comment here are quite sophisticated about diet, it is possible that other readers might infer that a high-carb diet is better, without addressing what sort of carbs might be in that diet. The people in Kitava seem to do quite well on a diet with lots of yam, sweet potato, taro and cassava. However the people who lived in Hardin Village did poorly on a diet predominately of maize, beans and squash. In other words, if readers decide to follow a diet biased toward carbohydrate but do not prepare grains properly and are not careful to use complementary foods, they may be setting themselves up for poor nutritional outcomes. I seem to recall reading somewhere, possibly Cordaine's Paleo diet paper or the revision, that roughly 67 percent of the caloric intake of the average primitive human was comprised of animal products. There was no group that was completely meat free. If that is the case, one would think that a HFLC diet would be the default diet. I'd like to see the evidence that 10,000 years is sufficient time to adapt to an agrarian diet. What were humans in temperate climates eating for the 2.5 million years before that? Hunting provided the greatest bang for the caloric buck. The deer and antelope I've hunted have plenty of fat around their organs, and more so in the Fall in Northern latitudes. I suspect Paleolithic Africans were just as judicious with fat and organ meat as the hunter gatherer tribes of the North American plains, when it was available. I am having a hard time imagining how Paleo humans would have derived enough calories from gathering cassavas and tubers to pass on genes that would favor a starchy diet. The longer I study all trhis the more I am reminded of the old saying: nobody knows anything. Another excellent post. Should not really be controversial at all. I agree 100% with your views on insulin. Hyperinsulinemia is a result of pathologic insulin resistance and is not caused be eating insulinogenic food. There is no evidence for this. "Even if our hunter-gatherer ancestors on average ate less carbohydrate than we do today, since hunter-gatherer diets are highly variable, we have been selected over millions of years to be able to tolerate wildly different macronutrient ratios." This is basically a statement of my core lemma and has been for over a year now. The human metabolism has evolved to be like a multifuel stove - like an MSR XGK that can burn kerosene or white gas - and if you are healthy it's a toss up whether to burn animal fats or starch for fuel. You need one or the other to keep protein limited. Arid africa - starch. European glacial maximum - animal fat. The macronutrient ratio per se cannot be a significant agent in the nutritional transition. It is just not plausible. The bizarre revisionism of Don Matesz notwithstanding, the search for disease agents among the 19th century concept of "macronutrient" is a dead end. High protein is more suspect than either high carb or high naturally occurring fat. At least we know 80% protein is unsustainable. I agree that as some integration over the whole of hominin evolution more calories may have come from sugars starches than animal fat, but the question of default might be better framed as relative to the person's genotype or current phenotype. I might accept that favoring whole food carbs over fats might on average be equivalent, but we don't know really know the burden of damaged metabolisms we might be making such a prescription for. So I'm curious if you think "on average" means biasing towards carbs at birth, or for the average 50 year old? I certainly agree that there is much variation in preference if not in optimality on the starch/animal fat spectrum. My wife gains with too many carbs, and I can't keep enough weight on without eating quite a bit more of them than she does.... Both of us would be relatively "low carb" by SAD standards, dangerously "high fat" by Ornish standards and dangerously high carb to the ZC or even VLC factions. And like Richard Nikoley, our transgressions would vary by the day! SFA does keep a lot me warmer. your observation about spicy food is very interesting. all the spicy Chinese cuisine are from inland provinces where it's scorching hot in summer! the cuisine along the SE coast tend to be on the light side (light in spices & seasoning). Is it uncoupling related mostly to brown fat which is not found a lot in adults ? I wonder is there any adaptation in this process with every day cold water showering. About aging and weight loss, the stuff you say are probably realted to hypothyroidism: low energy profile, trouble to loose weight, feeling hot. Expression of uncoupling protein-3 and mitochondrial activity in the transition from hypothyroid to hyperthyroid state in rat skeletal muscle. Peter @ Hyperlipid has written "The ultimate determinant of weight loss is fasting insulin." Stephan has recently written - "I doubt fasting insulin plays much if any role in fat loss." and "I think decreased fasting insulin occurs as a result of weight loss and negative energy balance, rather than as a cause"
These are pretty diametrically opposed statements. What is your take on this? And to be clear, I am not at all asking about post prandial insulin spikes, physiological vs pathological insulin resistance, etc - only about the role of fasting insulin vis-a-vis weight loss. 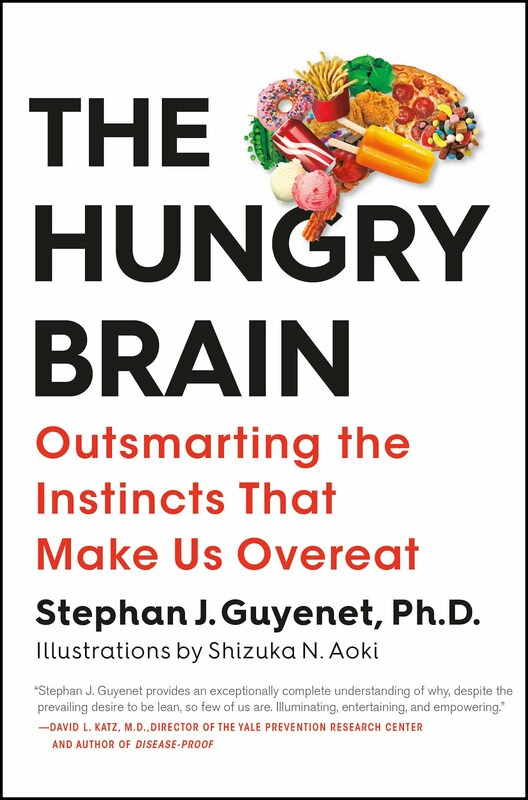 Stephan "I think the "null hypothesis" should be that humans are best adapted to diets where starch predominates over fat." Not sure about this. There's an important difference between what we happen to ingest and what we run our metabolism off of. Since whenever our ancestors didn't eat anything for even a moderately extended period of time, their cells would have been running on fat, I think it's reasonable to treat fat as just as much a default fuel source. There's also less that can go wrong (in 'metabolically damaged' individuals) when you're being fuelled by fat/glucose doled out by your liver than there is from pouring glucose into the bloodstream every few hours. In principle, of course, it seems that high starch should be pretty closely equivalent to high fat- it's going to be turned into animal fat after all. The main (only) reason to think that starch might be preferable to fat, is that tubers give you lots of micronutrients in addition to your animal fat, whereas straight animal fat is really rather lacking. Also I wondered about this graph (http://www.ajcn.org/content/88/3/638/F2.large.jpg) which was posted on Peter from Hyperlipid's Butter and Dr Davis post. It certainly looks to the casual observer as though even 40g/160kcal of carbs is blunting access to and burning of fat for hours (and by more than 160kcals), so what's up with that? The rice I was talking about was grown locally - on the family farm. Rice has changed a lot over the time it has been cultivated - as have most of the foods we farm. Man has selected sweet cultivators, or ones with lots of carbs. The rate of change has accelerated in the last 50 years. There is little 'natural' about the vegetables found in your supermarket. During Palo times people were often cold and hungry - Looking for the next meal would have been on everyones mind. Days without food a regular event. I think the amount of meat eaten -particularly fish and eggs - is underestimated. Primitive tribes often raid bird nests of eggs and much of humanity seems to have lived near the ocean. Tubers were what people ate to keep from starving to death. I'm still not convinced that Stephans take tells the whole story. In biology there is a maze of overlapping systems - leptin is important, but so is insulin, as is seritonin, dopamine, cortisone etc. What has changed in our diets and environment that has caused an epidemic of metabolic disease? I don't think we have a complete answer, but I would say that yes, food has become more tasty, but especially the public eats more sugars AND carbohydrates than in earlier years and is less active - having less use for carbohydrates. My take is we will eventually find that something in this mix is permanently damaging the control system. StephAn. I don't know even care if it bothers him - it just drives ME nuts that posters here can't get his name right. Not sure that fat/carbohydrate/starch could be preferentially selected for under evolutionary pressure. I see no evidence that an environment providing more of one or the other could prevent individuals from reproducing before the ill effects of their less adaptive physiology manifested themselves. 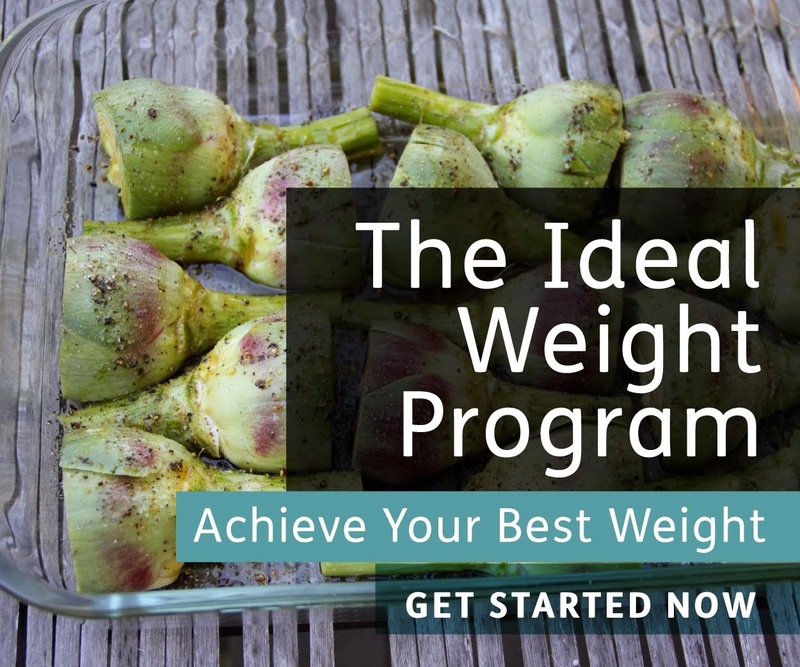 Most people who are concerned about their weight (which is really what inspires most investigation of this topic) will live well past their prime reproductive years regardless of their macronutrient choices and the resultant effect on their fat accumulation. I do not think that post-meal insulin spikes contribute to obesity, and they may even oppose it. I'm not aware of anyone who researches metabolism for a living who thinks post-meal insulin spikes contribute to obesity, and after having looked into it, I understand why. It's not a controversial issue in my field as far as I can tell. Elevated fasting insulin is a separate issue-- that's a marker of insulin resistance. It's important not to confuse the two. Does insulin resistance contribute to obesity? I don't know, but it's hypothetically possible since insulin acts like leptin's kid brother in some ways. As far as I can tell, starch per se and post-meal insulin spikes do not lead to insulin resistance. After reading Gary Taubes' books on this question, my wife & I have largely (but not completely) eliminated grain based carbs from our diet. (Over about 4 months our subsequent weight loss (25 lbs for me, 15 lbs for her) has brought both of us down to our high school weights. We eat well & do not have the hunger pangs we did. His assertion is that careful analysis of the literature shows that there is good evidence for the hypothesis that high carbohydrate intake increases the incidence of obesity, metabolic syndrome and even cancer. The converse, i.e. that low carb diets are associated with much lower incidences of the same maladies would support this hypothesis. Consensus and lack of controversy are reassuring states but can be quite misleading and even wrong. Industry sponsored food pyramids and politically influenced committees may make dietary recommendations on little to no evidence. Despite the apparent consensus and lack of controversy in the metabolic nutrition research field, could you please cite the relevant literature that would definitively contradict the seemingly unpopular hypothesis that starches & other high carb sources of calories significantly influence the incidence of obesity and metabolic syndrome? One thing missing from this discussion is that starch can cause problems for some people, for example Peter Dobromylskyj (see his post on "HLA-B27 and Ebringer" at Hyperlipid). Myself and my girlfriend had been on a Sisson-style paleo for a few months when I read some posts on how starches might not be so bad, so we added in more sweet potatoes and the occasional white potato. My girlfriend has struggled with acne for 15 years, and the paleo diet initially seemed to help. After eating the starches for awhile, her acne was as bad as it has ever been, and my allergies went totally berserk at the same time. Thinking the paleo diet was supposed to help with such conditions, I had to figure that either we were doing something wrong or the diet was not all it was cracked up to be. After reading about Peter's experience eliminating starch, and about ankylosing spondylitis, we decided to experiment with a starch-free diet, and began living on a Peter (and version 1.0 Kurt Harris) diet high in heavy cream, butter, bacon, and meats with some green veggies. Sure enough, her acne got steadily better over the course of a few weeks until her skin almost porcelain in appearance, and my allergies subsided. This experience makes me doubt that the null hypothesis should be a high starch diet. I am not aware of any health problems which are caused by a high animal fat diet, on the other hand, starch may apparently be associated with some pernicious problems. However, not much appears to be known about it. I have seen very little information connecting starch intake and acne, for example. I removed wheat from my diet. I did eat some grains before but not much. I also removed wheat bran, oats, corn, rice. I eat potato sometimes and otherwise I have ad-libitum intake of food with 20 minutes every 2nd day of exercise and 1h of walking (sometimes HIT). I dropped 20 libs in 3 months. I am now at lower weight then I was in high school. I was inspired for this by the book Rosedale diet along with research on blogs like this one or Hyperlipid. My wife started recently and lost 5kg. Not that this is so - IMO we don't yet understand half of the picture. I don't know why Stephan is downplaying the role of insulin so much - both leptin and insulin are primary in controlling the net flux in and out of adipose tissue. One would have to have a paper where they looked at the input control range comparing leptin and insulin and then see which dominated the fat storage flux - but my hunch is they are cofactors - both exert significant control. And then there is amylin, (what controls it? ) and who knows how many other factors yet to be discovered. What I am sure of is that leptin, by itself, is not the whole story. Leptin seems to work on appetite via some dopamine channels - another onion whose layers have not been peeled back yet. Keeping our thyroid health naturally is not a difficult job, together with proper diet and desiccated bovine thyroid tablets . One of the most interesting articles ive read. I liked the brief points on ancestry and varied diets mentioned. This is all new information to me. I appreciate the blog. Good luck with ur research. I am sooo tired of hearing this false stereotype of our ancestors as starving, cold, and hungry all the time and thus, we should try and emulate this? And that they were starving, cold, and hungry while filling up on starch but not so with meat? These peope are not starving on a weekly or even monthly basis. They probably don't get as much food as us and I am sure that sometimes supply is much lower than ideal and thus, food becomes a bit scarce... but this is not all the time. Furthermore, a high meat, low carb diet left me cold, irritable, and physically starving since no matter how much I ate my thyroid slowed, I lost muscle, sleep became poor and cortisol shot up... but yet I had no appetite. When I switched to high starch tubers, low-moderate fat and low protein, I became warm, happy, gained musle, energy, etc etc. I tried all the different low carb paleo variations . So can we please get rid of this rather ill-conceived notion of our "ancestors" as cold, hungry, and starviing all the time? Our ancestors are those who were around in past few thousand years, not millions. We have changed since then and we are no longer in the Stone Age.